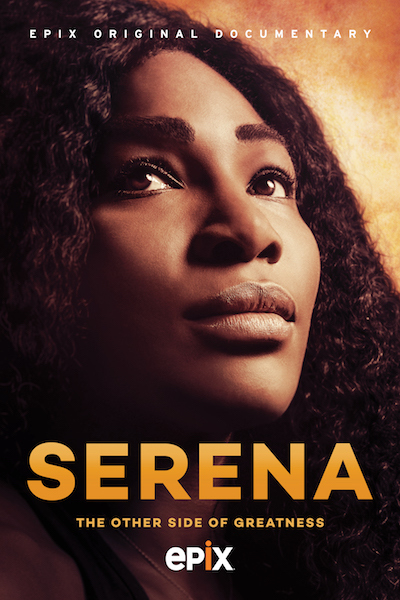 The EPIX Original Documentary Serena, an intimate portrait of 4-time Olympic Gold Medalist and International sports icon Serena Williams, will provide viewers with unprecedented access inside the world of the athlete-designer-businesswoman, including day-in-the-life interactions with her family and friends, plus her most trusted colleagues and fiercest competitors. Shot verité style – Serena explores the pressures that come with being number one in the world, and Williams unflinching commitment and drive to succeed, ultimately emphasizing the humanity under all of her accomplishments. For Serena, the documentary team was provided unparalleled access. Viewers will be witness to the external pressures and vulnerabilities Williams faces in her quest to achieve four Grand Slams in a row (a “Serena Slam”), and her losses at the 2015 U.S. Open and 2016 Australian Open. In addition, the film takes an unprecedented look at Williams’ life off the court as the filmmakers capture intimate and unguarded moments with her family and inner circle of coaches, trainers and friends.